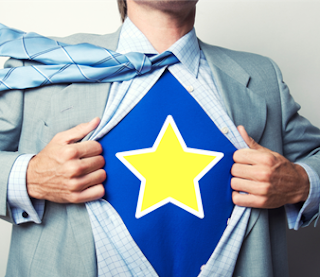 CEO News & Blog: What is a “Great” Employee? Taking responsibility for your work performance gives you the power to control your destiny. Taking responsibility also means you understand what it means to be a "great" employee and then working diligently to achieve that definition. Over the years of my working experience (some in management positions and some not), I've determined a few of the top characteristics of a "great" employee. You may have a few traits to add to this list yourself, but here a list of what I have determined to be the basics. In other words, a great employee doesn't work for their own sake (though we all have our personal motivations for working). Great employees understand how they fit into the bigger picture and want to contribute to the success of the company. Here at Turner Machine Co. we work in a fast paced environment, dedicated to setting the standards of quality and service by providing tailored solutions to meet the automation world and machine shop needs. One of our Core Values is “Passion”. What that means is that we have a passion for building people and helping them to grow by investing a part of ourselves into one another. We are always looking for “Great” employees. If you have the qualities described above and you want to grow yourself, Turner Machine Co. has a place for you. Whether it be in machining, welding, assembly, mechanical engineering or controls engineering, we always have positions available to be filled by you.